A tweet from Angela Garcia inviting me to comment on her blog post came through this morning. 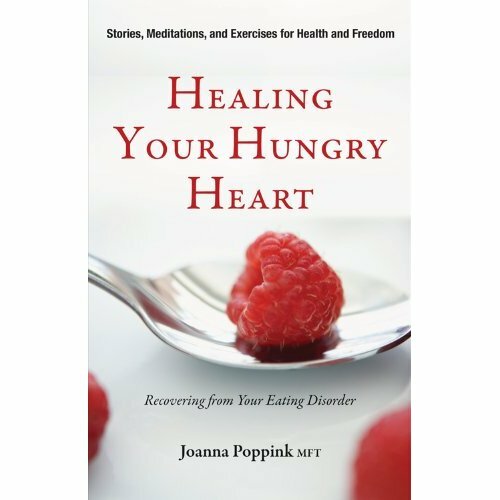 She asked: @JoannaPoppink "What would u advice a girl who is struggling to over come an eating disorder? Let me know in the comments." The quotes she included belowe her post go the point. This is part one of the two part series of interviews Joanna gave to HealthyPlace.com about the experiences of adult women both seeking and working in psychotherapy specificallly designed for their eating disorder recovery needs. The video begins after an advertisement. This is part two of the two part series of interviews Joanna gave to HealthyPlace.com. Joanna describes challenges of eating disorder recovery for adult women including the experience of making that first call for help. She continues to describe how a woman rallies her strength and courage to move forward for healing and freedom. Writing a book about eating disorder recovery seems to parallel the recovery journey itself. Conari Press liked my book proposal and so did I. Now that I'm actually working on the book I feel that the proposal left out the heart and soul of recovery work. I'm rethinking and rewriting and expanding my overall plan so I have a work that integrates tasks, thinking, behaviors and heart and soul. Well, that's the task of recovering from an eating disorder too. So I believe I'm on the right track. At least I'm on my track.